Iron County, Utah – Four activists from California were recently arrested in Utah for taking pictures of agricultural buildings. These four became the first out-of-state activists to be charged under the state’s controversial “ag-gag” laws, which prevent people from filming conditions inside of factory farms. There are over a half-dozen other states in the US who have similar laws, and in Utah, activists have been prevented from filming factory farming sites since 2012. The four Californian activists who were arrested late last year were with a group called the Farm Animal Rights Movement or (FARM). Each activist was charged with one count of misdemeanor criminal trespass on agricultural land and agricultural operation interference, according to the Salt Lake City Tribune. Those arrested said that they were filming from public property, and that they were filming for a documentary about inhumane conditions in factory farms. According to one of the defendants in the case, Sarah Jane Hardt, the group was very careful to film from areas that were clearly public property, but even then, their filming has made them guilty of trespass under the new laws. The other three defendants in the case are Robert Penney, Harold Weiss and Bryan Monell. According to a lawsuit filed in July 2013 by the Animal Legal Defense Fund, People for the Ethical Treatment of Animals (PETA) and others, this law not only targets activists, but whistleblowers as well. “These statutes have the effect of criminalizing undercover investigative activities targeting agricultural operations, as well as the planning and assistance of such activity, thereby making the investigations and the journalism surrounding such events virtually impossible,” the lawsuit stated. How did such an obscene thing come to be? There is a little-known but powerful group called the American Legislative Exchange Council (ALEC) that introduces model bills in states across the country on behalf of its corporate members. 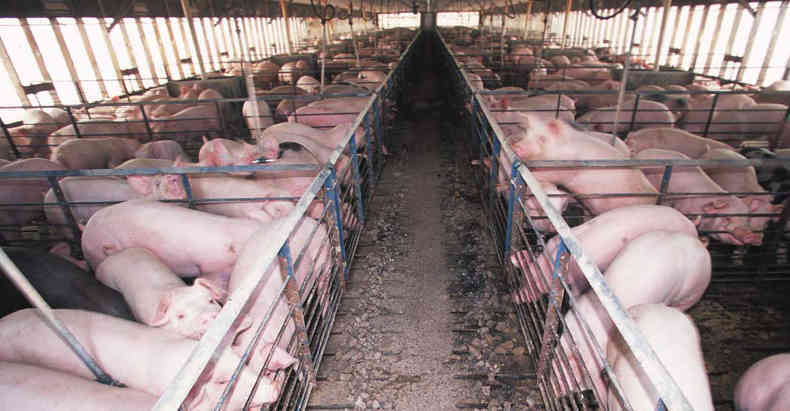 Several agribusiness corporations and organizations have been funders of ALEC such as Archer Daniels Midland, Cargill, and the National Pork Producers Council. As with other powerful industry groups like oil and gas or Big Pharma, ALEC seeks to dismantle consumer rights using the power of state government. ALEC drafted the “Animal and Ecological Terrorism in America” model bill just two years after 9/11, capitalizing on the fear of terrorism that was being stoked by government and media. The model bill goes so far as to compare “extreme animal rights activists and environmental militants” to al-Qaida. It would put people on an actual Terrorist Registry for taking undercover pictures and films that “defame the facility or its owner.” Pennsylvania’s proposed law even criminalizes those who download such material over the internet. The first Ag Gag prosecution to occur in the United States, also happened in Utah, in 2013. Amy Meyer filmed a live cow being hauled away in a bulldozer at a slaughterhouse. She was doing this from a public street. The facility owner confronted her and then called the cops. After bravely standing up to both owner and police officer she was allowed to go, only to find out later that she was being charged under Utah’s Ag Gag law. However, when this case was publicized in the media, the charges were promptly dropped. Iron County Attorney Scott Garrett said Monday the activists from California and Maryland will still each face one misdemeanor charge of criminal trespass.